The Zohar described humanity's current situation 2,000 years ago – the growing stress, depression, and global problems. It explains that the solutions to these problems lie in discovering the true reality we're in, one that is born from a new desire that will lead us to unlimited, everlasting fulfillment. This is a desire that transcends man's self-centeredness, a desire to reveal the harmony that already exists in potential if man will realize it. The Zohar was written by Rabbi Shimon Bar Yochai and nine of his students, who all dedicated their lives to finding the answers to life's fundamental questions. In doing so, together they attained the complete picture of reality. 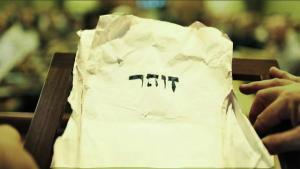 They wrote The Zohar to help us fulfill this new desire in our era. It is written in a hidden language that seemingly contains all kinds of fables, pictures and historical events. In order to discover what The Zohar is truly talking about, guidance is needed with the text. Through this study, one undergoes inner changes that develop an additional perception of reality within the person, enabling the person to start seeing the spiritual world described in The Zohar. THANK YOU SO MUCH fess seth, professor seth and team. so lesson 6 clears up the question that floored me in sonoma. lesson 7 bring it. this is such a great learning tool for zohar well well well done. I love you. I do try to. I agree. I have had this same thought before. It is the only way infinity can be infinite. But then, why is it we are able to imagine the idea of something being false or only imaginary? I feel it is related to our perception of linear time and our 5 senses. Also, equivalence of form. If something is too different from us here and now, it becomes fantasy. Just as the creator and the spiritual world is a fantasy to some who are not interested in those things. All realities exist somewhere, some parallel, micro or macro cosmic dimension or place. So even fantasy, even the amazing stories, actually happened, happen, will happen etc. So is the writing of new stories creation, or discovery? One means I deserve respect, one means I should give it.